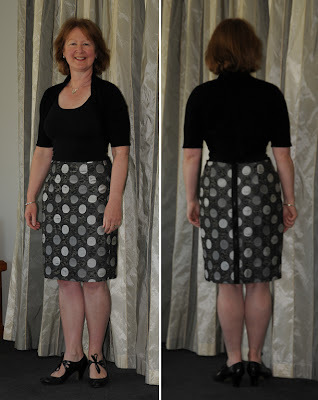 Let me catch you up on the projects I have sewn since my return to sewing this year prompted by a very nice commercially made straight skirt at $(NZ)179. For a simply made skirt it was an unjustifiable cost, so the sewer in me told me to try Fabric Vision. Who would have believed it, that same fabric waved to me as I entered the shop. My material was $(NZ)20. It was when I got it home that I discovered it was one way stretch but I remembered before cutting it out to put the stretch across the skirt. Phew! I used Burda Easy 8155 . I sewed a size 12 and thought the measurements were out on the packet but then remembered the sizing has ease added. (Apparently its about 2 inches on the bust, one inch on the waist and 2 inches on the hip.) But Gertie's New Blog for Better Sewing will reveal all. Thanks Gertie. I've ordered your book and I'll wrap it up for my Christmas present which is the best way to get the present you want! I was determined it would not be a failure (and hence a waste of money) so I went cruising the internet for ideas. On Sewing Pattern Review dot com (scroll down to Angela Wolf's video) on exposed zippers. This was the solution. I got a chunky zip and put it in the full length of the skirt. 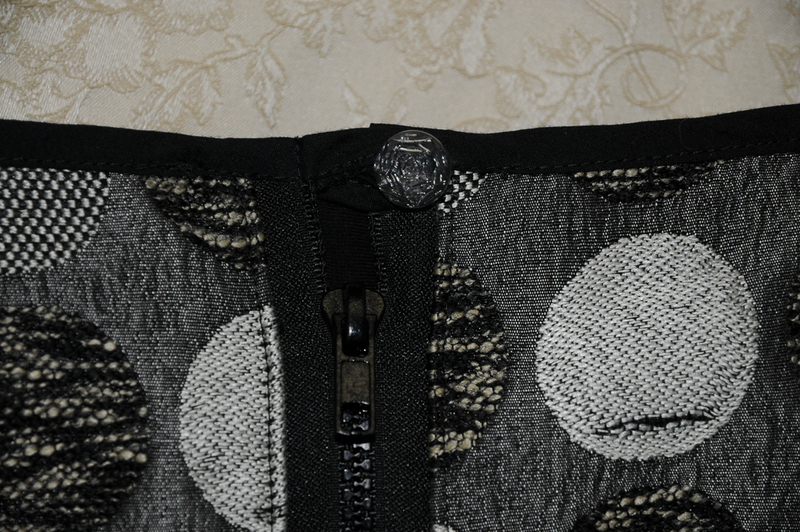 I also did a bias binding waist edge instead of a waistband. A lot of unpicking and resewing but it was worth it. 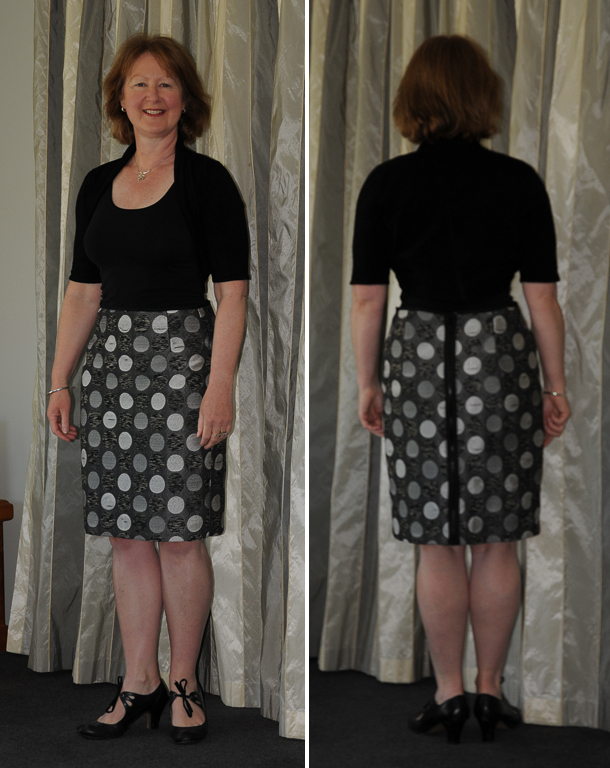 The waist could have been taken in a bit if I had taken the time to try it on before beginning the waist hemming. Patience is a virtue as a sewer but when I am on the home straight I tend to rush so I can wear it.